Workflow automation has taken leaps and bounds in terms of its potential to transform not just the professional workplace, but nearly every industry. Schools, in particular, are starting to see the benefits of workflow automation. The automated classroom has been shown to reduce many time-consuming administrative tasks like creating and sending requests and order forms and even grading. More so, automation frees up time for teachers, administrators, and front office staff to focus on what truly matters: education. 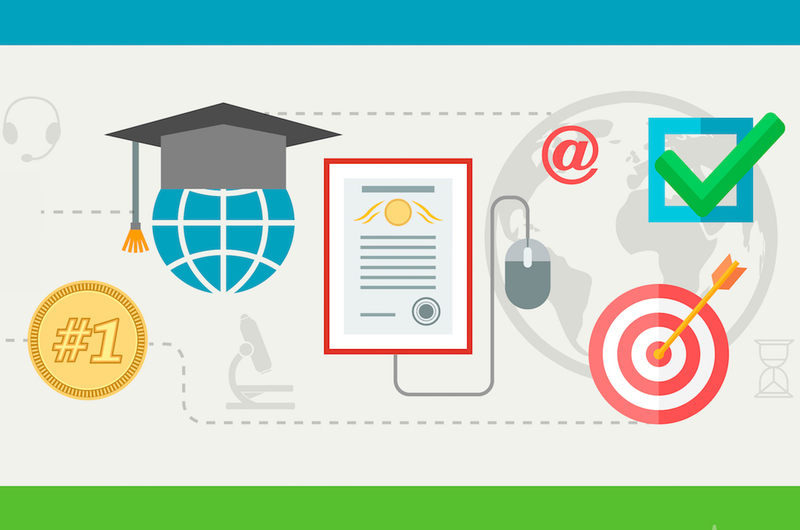 Here are a few ways that workflow automation has changed (and is changing) the world of K-12 education. Educators are under constant pressure to reduce already limited expenses. When surveyed by the Guardian Teacher Network, more than 81% of teachers said their school has either already made significant cutbacks, or will make them over the next year. With more cuts being made to public school funding in the U.S. than ever before, administrators and teachers must become smarter about how resources are being used. Paper consumption is one of the biggest areas of waste for schools. More than 78% of school waste consists of organics and paper. While technology, like email and electronic documentation, have already provided the opportunity for schools to reduce paper usage, automation seeks to take this cost savings to a new level. This includes paper-heavy processes like creating class schedules, keeping student attendance, processing grades and report cards, as well as helping to admit new students. Yet many administrators or teachers are hesitant to start automating those processes, especially since many automated solutions might seem like added expenses (with some ranging up to $90,000 per year or more). But the costs of not automating are significantly higher, not just in terms of paper, but salaried hours for office and teaching staff. Automating specific requests, like converting and sending PDF forms to parents, teachers or other staff, can reduce the manual time it takes to process requests. 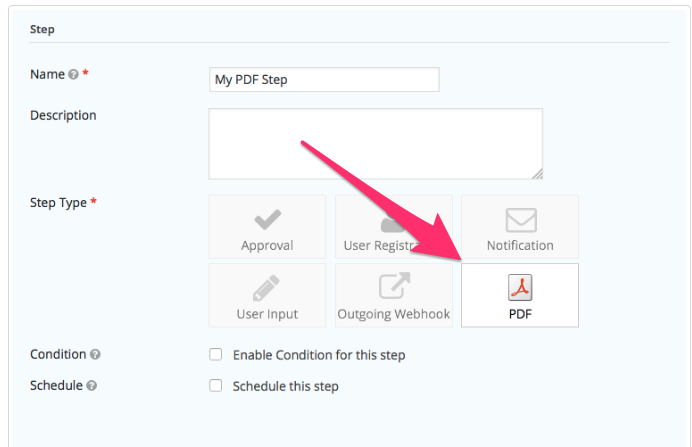 Gravity Flow, for instance, allows you to turn any form into a PDF automatically using the PDF Generator. Other types of requests, like vacation requests, supply requests, and maintenance requests, can also be automated quickly and easily, without using a single piece of paper. Other common time wasters for many teachers include things like interruptions from other staff or students, whether from the office over intercom or via hand-delivered notes. 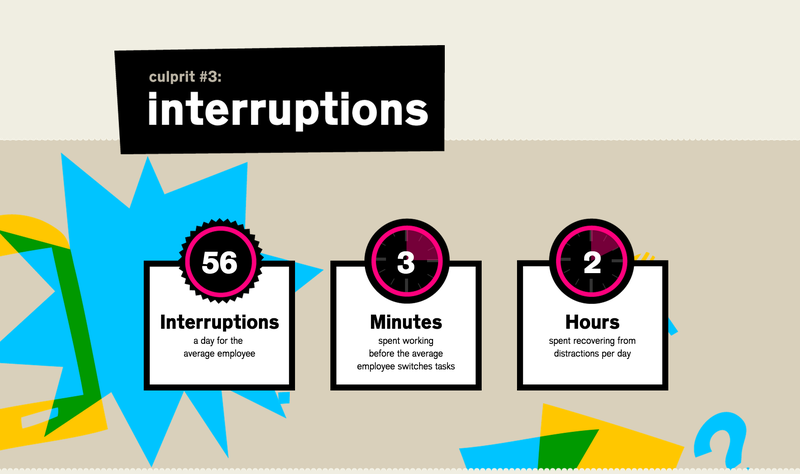 In fact, for most employees, even the smallest interruptions can cost up to two or more hours a day in productivity. While not every single interruption can be eliminated with automation (emergencies and announcements will still happen), certain types of notifications can be automated to save time and reduce the burden on staff. 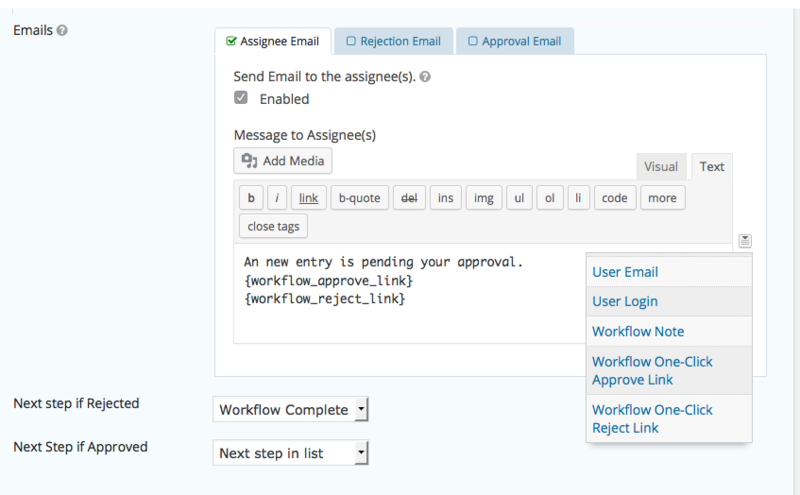 Request submissions and approvals, for example, can be automated so that teachers know when something they asked for was approved or rejected. You can also trigger notifications to alert users when an enrollment form has been submitted, when grades are due or any number of classroom-specific tasks. 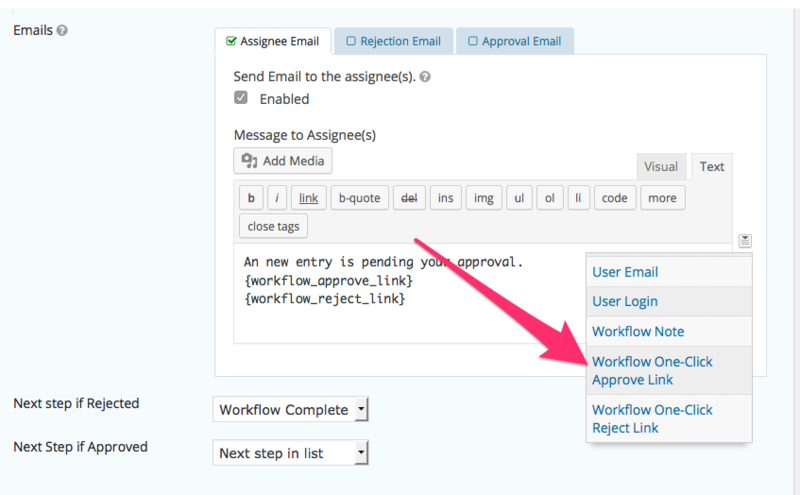 Using Gravity Flow, you can even include one-click approvals in emails. Using automation, teachers and administrators can have peace of mind knowing that all parties are being informed with one click, and that notifications are automatically available to those who need them. This means fewer interruptions for teachers so they can focus on teaching lessons instead of avoiding interruptions. While not necessarily a direct and measurable result of automation, students might receive the most benefit from workflow automation because it allows teachers to spend more time engaging with students rather than worrying about processes. Students can have more meaningful interactions with staff members when staff isn’t bogged down with unnecessary paperwork. But there are other ways that students might gain from automation, like receiving timely feedback on homework assignments, projects and exams more quickly, for example. They won’t have to wait weeks and months to get feedback on their work. You could create a workflow that enables teachers to provide feedback on student-submitted forms, for example. Or office staff could create quick and easy approval forms for students requesting information about their grades or assignments. With automation, everything is kept electronically, which means there’s less chance of forms going missing. Students (and teachers) may not worry as much about accuracies in classroom schedules, attendance records, and other forms that are automated rather than kept manually. Even more so, because it eliminates much of the tedious paperwork and tasks for which academic staff are responsible, automation allows for more direct and sustained contact between students and educators. Though not as measurable as, say, paper waste or time cards, an increase of one-on-one time with teachers can make all the difference in the world. Automation is designed to make life easier for teachers, staff and students. While some administrators may seem hesitant to implement automation, especially as they try to cut costs, it’s important to remember that the benefits of automation will most likely outweigh the investment. Not only is automation a time saver for paper processes, it’s also a time saver for things like notifications and other interruptions that might reduce staff productivity. The fewer interruptions, the more time that teachers and staff have to engage with students, which is, after all, the whole point of education anyway. If you’re worried about implementing automation, here are 5 keys to success. Subscribe to get this free resource.